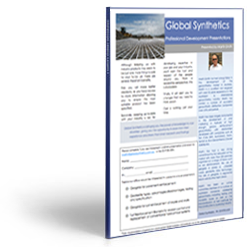 Our company newsletter, Global Synthetics GeoNews explores our products, project and expert solutions. As 2018 draws to a close Global Synthetics would like to thank all of our associates for a great year. We could not have achieved any success without your help. If you purchased, specified, transported, inspected or indeed, in any other way, had involvement with our company, we hope that it was positive for you and that we can continue our relationship though 2019. 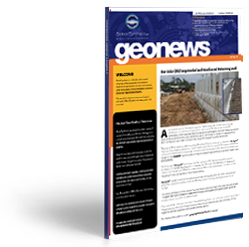 In this issue Combigrid® Supports Pavement Construction, Bentofix® Raises the Bar for an Iron Ore Giant and Western Sydney Business Park – ACEGrid®/ Keystone® Retaining Wall. 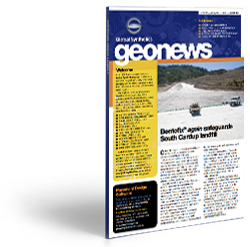 In this issue: Pacific Highway Soft Soil Treatments, Brisbane Landfill Cell Geomembrane Protection, Bentofix® Geosynthetic Clay Liner Safeguarding Roebuck, Segmental Masonary Block Soil Reinforced and Retaining Wall and ACEG rid® Geogrid. 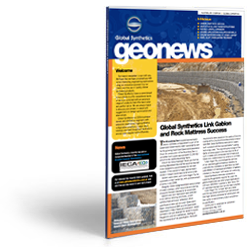 In this issue: WMAA Annual conference success, GeoRock™ implementation at Cocos Islands, and Linkweld® Gabion structures at Martin Munro Parklands in Cairns. 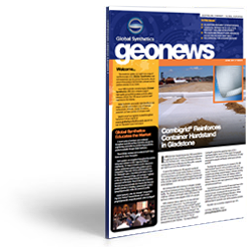 In this issue: Berrinba segmental soil reinforced retaining wall, Wollert landfill cell, Bentofix® Geosynthetic Clay Liner-containment on fuel farm and Landlok® 300 helps prevent scour in local Queenland street. 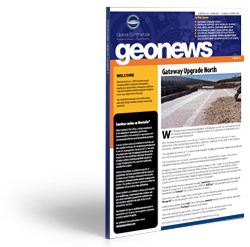 In this Issue: Gateway Upgrade - Brisbane Parallel runway - SRWA - ACETex®, Geofirma®, Ceteau®, Combigrid® and Bentofix®. Register your interest in one of our interactive presentations on a range of topics relating to geosynthetic products. We bring the latest research findings and information to your door. 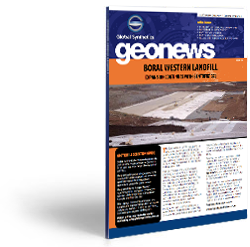 In our latest newsletter Bentofix® Geosynthetic Clay Liner and Secugrid® Reinforecment Geogrid utilised to create one of Australias largest Landfills. 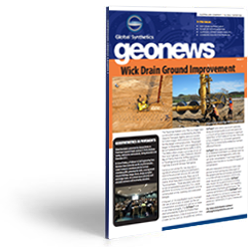 In this issue: We cover WickDrain Ground Treatment and Ground stabilisation With Secugrid®. 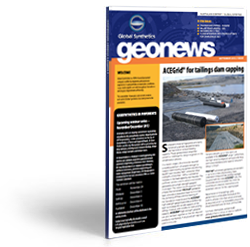 In this issue: ACEGrid® for Tailings Dam Capping and Bentofix® coated GCL at Millar Road Landfill. 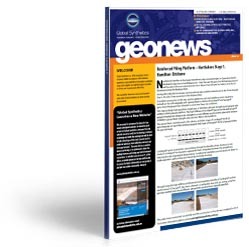 In this issue: Salty Creek Restoration using ProTube© Combigrid© working platform in Maroochydore. 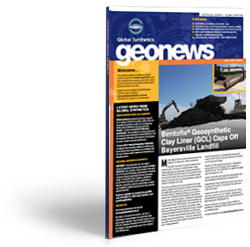 In this issue: Bentofix® Geosynthetic Clay Liner (GCL) Caps Off Bayersville Landfill; Secugrid®/Combigrid® Reinforces Hardstand in Brisbane for Precast Tunnel Segments for Legacy Way. 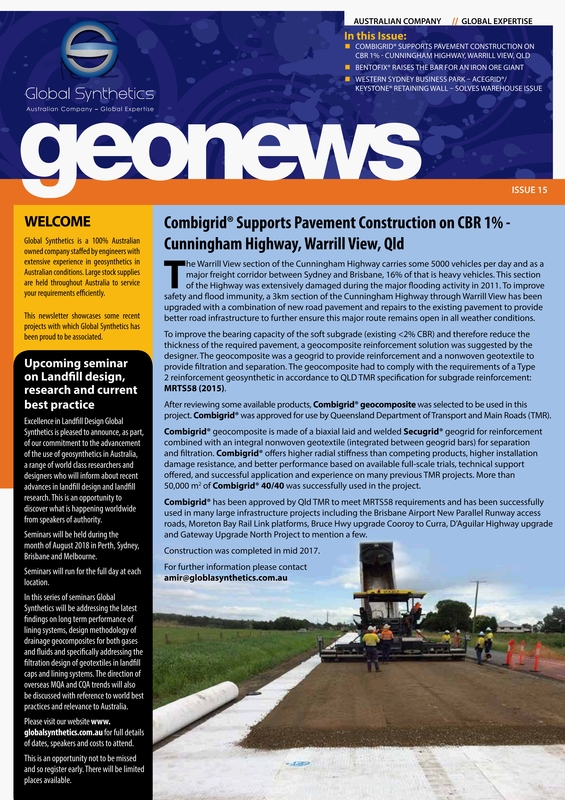 In this issue: Combigrid Reinforces Container Hardstand in Gladstone ; Embankment Support; Erosion Control; Environmental Barrier; Stromwater Containment; Glenugie Upgrade Alliance Project. 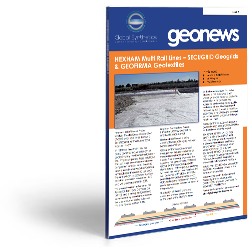 In this issue: Gabion & Rock mattress success; Geotextiles and load transfer platforms; Red hill landfill expansion; Geogrid applications in slopes and walls; Ground water recharge at Sydney Airport; Novel slope stabilisation treatment. 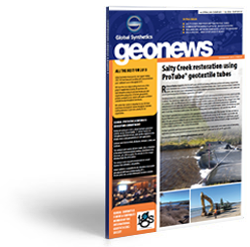 In this issue: Bentofix® safeguards landfill; Acegrid® assists on former clay quarry; Combigrid® supports highway; Three-way solution on gateway motorway; On-site water detention solution.